America’s B.B. Queen CAN play the blues! There are others who lay claim to this name, but no one else but OUR B.B. Queen can deliver the goods. BB is a Detroit native now in Nashville. She started her music career at the young age of five years old; playing her clarinet and entertaining at juke joints with her younger sister and father. She picked up the guitar at thirteen years of age after watching B.B. King and Jimi Hendrix perform on television. She was able to watch the fingers glide, like a time frame within time. It was destiny for B.B. Queen. She was born to play the blues. 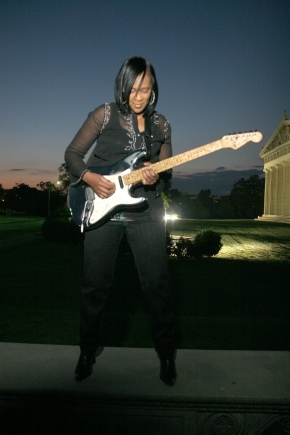 As a female guitarist/ vocalist/ entertainer, there is no equal in the blues genre. Touring extensively from the Midwest to the East Coast to the west coast, 22 city tour in Italy, playing such prestigious venues as The Monterey Bay Blues Festival, Lincoln Center, Universal City Hollywood, BB Kings Club, Appearing 3 times on The Jenny Jones Show, House of Blues Chicago, Motor City Casino, Greek town Casino, Hollywood Park Casino, The Bay Area Delta Blues Festival, KoKo Taylor’s Banquet Hall, Buddy Guy’s Birthday Bash at Legends, Hot August Jam, Shirley Mae’s Kentucky Derby Festival, Dothan Alabama Civic Center, University of Michigan Auditorium, Magic Bag Theater, Bert’s Warehouse, Shaw College Blues Festival, 100th Anniversary Celebration of Idle wild Resort. Hearon Media Employee Retreat-Las Vegas NV, Daisy Theater Memphis Tennessee, WDIA Juke Joint Tour. I Can Play Da Blues Tour. 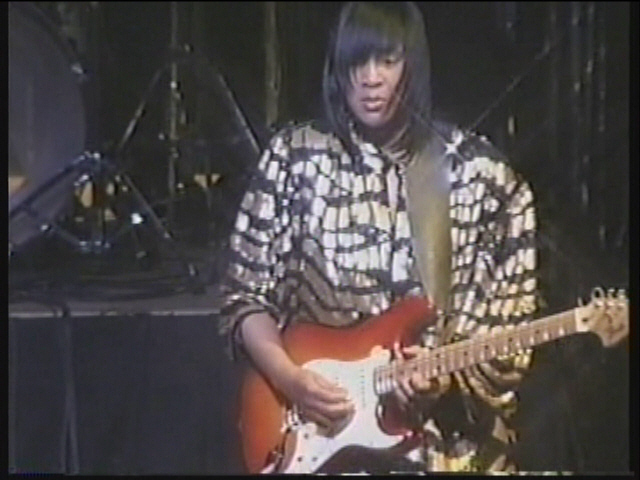 The legendary Koko Taylor had been a mentor to BB and they co-wrote a song together on B.B. Queen’s Album, “Everybody’s Favorite”(Qualified and Able) of the same title as the album. Koko Taylor performs with BB putting her signature vocal style on a song entitled; “Nowhere Road” on this same album. Her current album is entitled, ” I Can Play Da Blues” B.B. Queen has won a Tennessee Rhythm and Blues Award 2014 and a Midwest Video Nomination 2014; Category: best video blues from the” I Can Play Da Blues” CD for the crowd pleasing song, “Wobble Wiggle.” B.B. Queen is currently working on a new album co-writing with award winning songwriter/ producer Marshall McQueen in a collaborative effort with Rowe Entertainment in LA.